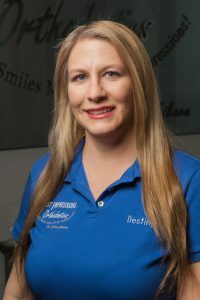 Destiny has been a team member with 1ST IMPRESSIONS Orthodontics since 2004. She has a gentle touch and puts her patients at ease with her kind demeanor. Destiny likes to spend her free time with her husband Jason, their children and their pets.